Delight in the real ingredients and natural flavors of Ketel One® Botanical Cucumber & Mint. Crisp, sliced cucumber and mint botanicals are blended with Ketel One® Vodka and distilled through a copper pot still and then infused with the natural essence of fresh, crisp and fragrant botanicals. With no carbs, artificial flavors, sweeteners or sugar*, our sensible vodka specialty is the mindful way to celebrate the weekend or relax with friends. Perfect for pairing with food, mix with club soda and serve with steak tartare on toasted rounds for an impressive tapas-drink duo. Includes one, 750 mL bottle of 60 proof Ketel One® Botanical Cucumber & Mint. With over 327 years of distilling expertise, passed down for 11 generations, Carl Jr. and Bob Nolet, brothers and 11th generation distillers, have created a new spirit that honors the consumer shift to more conscious living. Crafted with 100% non-GMO grain and distilled in a copper pot still, Ketel One® Botanical delivers the same great quality consumers have come to know and love from Ketel One® Vodka. Come visit us in Schiedam! We'd be happy to show you around. • Mix with club soda and serve with steak tartare on toasted rounds for an impressive tapas-drink duo. 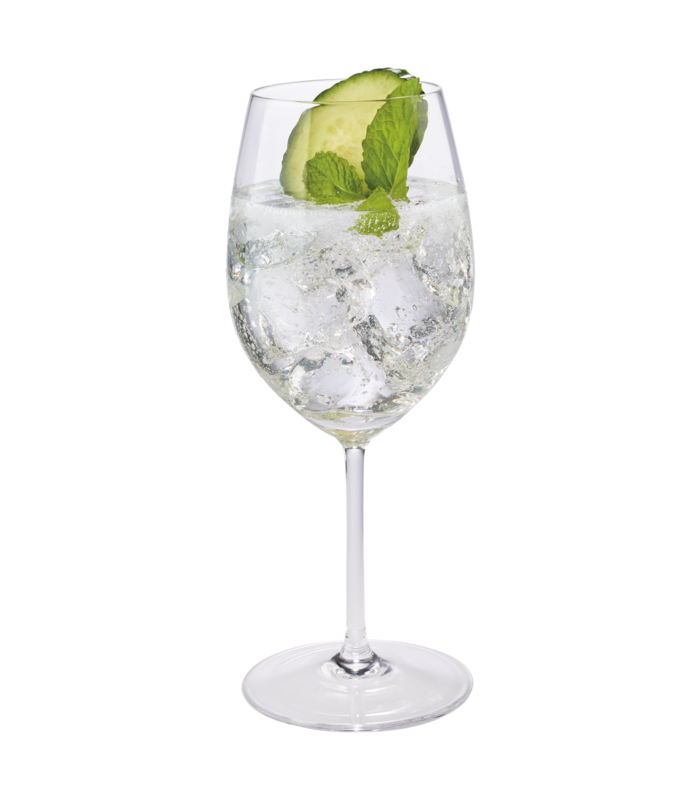 Mix in Ketel One Botanical Cucumber & Mint and soda.